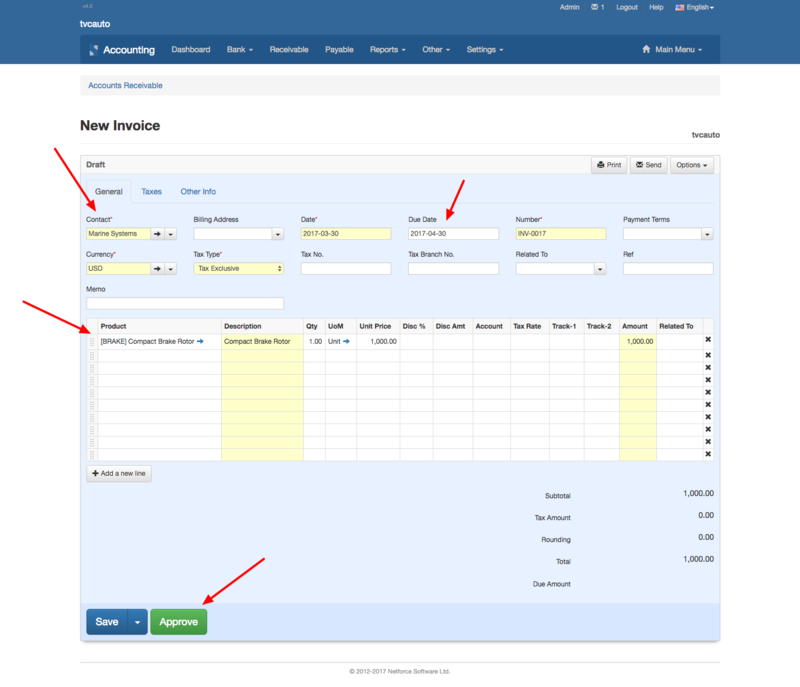 To create a customer invoice, go to the "Accounting" menu, then click "Receivable" and "New Invoice". If you just want to save the invoice and leave it in "Draft" status, click on the "Save" button. If you want to approved the invoice, click on the "Approve" button. 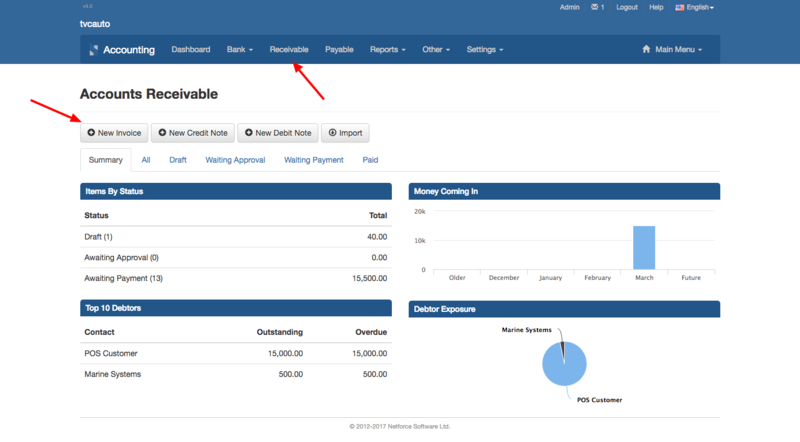 The status of the invoice will change to "Waiting Payment" and a journal entry will be created for that invoice.